An emotional exploration of the Philippines, these novels illustrate the connection between a people and their beloved native land. The first novel, Killing Time in a Warm Place, is based in part on the author's own experiences as a student protester and his subsequent capture, imprisonment, and torture during the Marcos dictatorship. His subsequent assimilation to a new society as a speechwriter for the government is depicted, followed by his self-imposed exile to the United States and his eventual return to the islands upon the death of his father, where he is forced to confront past betrayals. The second tale, Soledad's Sister, delves into the dark side of immigrant and outsourced labor that is endemic worldwide. Following the mysterious death of a young Filipina woman working as an au pair in Saudi Arabia, the narrative chronicles a local policeman's search to claim her body, locate her next of kin, and give her a proper burial in her native soil. With deep insight into contemporary Philippine culture, this collection captures a nation attempting to reinvent itself in the eyes of the world. 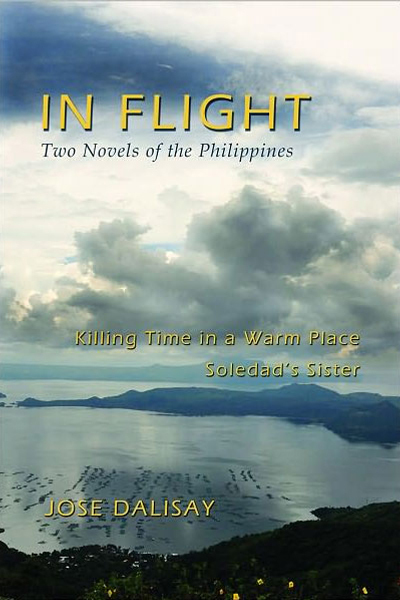 "Dalisay's two short novels, compiled into one volume and both set in his native Philippines, are full of evocative words and images,(and) rich, riveting detail.Combined, both will leave readers with a lingering, haunted feeling." "Jose Dalisay is a truth-teller, and in these novels he tells stories concerning a part of the world about which most Americans are--unfortunately--ignorant. The stories grip the reader's attention from the outset, and like much great literature, they tell"